Encourage and develop artistic excellence among young musicians in southwest Michigan by providing a diversity of quality orchestral experiences; and to enhance the cultural environment of the families and communities it serves. In support of that mission, the orchestras of the KJSS host several concerts each year, and the chamber ensembles perform for community organizations that serve still younger students and vulnerable populations. 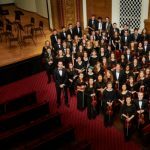 One of the oldest and finest youth symphony orchestras in the United States, the Kalamazoo Junior Symphony Orchestra (KJSO) was founded in 1939 by Eugene Andrie, its first conductor. In 1941 the orchestra came under the direction of Julius Stulberg, who remained its conductor until his death in 1974. The late Herbert Butler directed the orchestra until 1978, when Dr. Robert Ritsema assumed the conductor’s podium. Dr. Ritsema directed the orchestra for the next twenty-two years until his retirement in 2001. Steven Ward replaced Dr. Ritsema and led the orchestra until the spring of 2006. 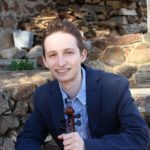 After a year-long conductor search, Andrew Koehler joined the elite core of dedicated Kalamazoo Junior Symphony conductors in June 2007. 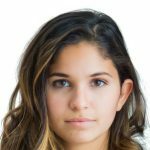 The KJSO has been accorded many national and international honors. It has been selected to play for the North Central Divisional meeting of the Music Educators National Conference and the Midwest International Band and Orchestra Clinic; it has received National Federation of Music Clubs Awards for Merit for the Crusades of Strings, and for its recognition of American Composers; it has been recommended by the American Symphony Orchestra League as a model for youth orchestras; it has frequently been selected as the accompanying orchestra for the Michigan Youth Arts Festival; and it has been invited to play many special engagements, including numerous successful side-by-side performances with the Kalamazoo Symphony Orchestra. 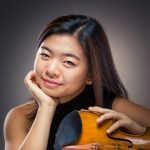 In partnership with the Stulberg International String Festival, it regularly hosts the bronze medal winners of that competition, among the most accomplished young artists in the world. The 2013-2014 season, in celebration of the organization’s 75 anniversary, will also welcome world-famous guest artists Alon Goldstein and Midori. The orchestra has made highly successful international tours: Canada in 1973; Europe in 1969, 1977, 1982 and 1988; Australia and New Zealand in 1992; and Brazil in 1996. In 1982 the KJSO won first place in the Youth Orchestra Division of the Eleventh Annual International Youth and Music Festival in Vienna, Austria; in 1992 the orchestra won first place in the Open Orchestra Division of the Australian National Eisteddfod held in the capital city of Canberra; and in 1996 the KJSO played to packed houses and standing ovations throughout its two-week tour to Brazil. 2014 will bring the orchestra’s first performances in Asia as part of a tour to Beijing and Shanghai, among other cities in China. The Kalamazoo Prep String Orchestra (PSO) was established in 1980. Under the direction of Audrey Lipsey, students in this intermediate orchestra work on building repertoire and orchestral playing skills. The PSO promotes interest and nurtures future participation in both KJSO and area music education programs. 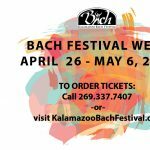 Established in 1992 for elementary string students, the Kalamazoo Training Orchestra (KTO) fosters confidence and enthusiasm for fine music through a series of comprehensive skill building sessions. The KTO program is carefully designed to encompass the special needs of at-risk students by providing the solid foundation and support system necessary for successful participation at more advanced levels of participation. KTO students are recommended to the orchestra by area private and school music educators. Students receive a one-hour music skills training session per week. 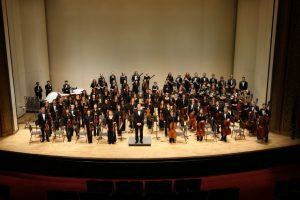 The Kalamazoo Junior Symphony, Prep String and Training Orchestras, collectively the Kalamazoo Junior Symphony Society (KJSS), are governed by a Board of Directors of, which include two player director students who come from the KJSO, elected by their peers. It is not affiliated with any other organization.